The China IPR SME Helpdesk supports European Union (EU) Small and Medium-sized Enterprises (SMEs) to both protect and enforce their Intellectual Property Rights (IPR) in or relating to Mainland China, Hong Kong, Macao and Taiwan through the provision of free information and services. These take the form of jargon-free, first-line, confidential advice on intellectual property and related issues, plus training, materials and online resources. The China IPR SME Helpdesk project is funded by the European Union and builds on the achievements of a pilot project carried out in 2008-10, the subsequent Phase II. in 2010-2013 and Phase III. in 2014. Phase IV ran from January 2015 to June 2018. As of September 2018 Phase V commenced and comprises a total budget of roughly EUR 1,800,000 over a two years period. Individual SMEs and SME intermediaries can submit IPR enquiries directly to the Helpdesk via phone, email or in person, getting access to a panel of experts to receive free and confidential first-line advice. 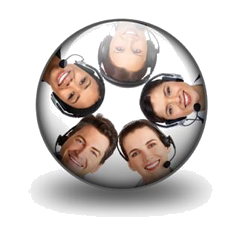 Send your queries to question@china-iprhelpdesk.eu to receive and expert reply within three working days. General IPR issues, including IP registration and establishing an IP protection strategy. Practical business challenges such as choosing a Chinese business partner, attending a trade fair, licensing. Helpdesk IPR Clinics offering SMEs free 20 minute one-on-one consultations with an IP expert are available at many training events. Train-the-trainer resources for SME service providers and intermediary bodies to improve the awareness of intermediary representatives about the scope and tools offered by the China IPR SME Helpdesk. Consult the Helpdesk Events Calendar for upcoming training sessions and events, or contact Jim Stoopman (jim.stoopman@china-iprhelpdesk.eu) to organise a training session in Europe or Andrea Caballé (andrea.caballe@china-iprhelpdesk.eu ) to arrange an event in China. 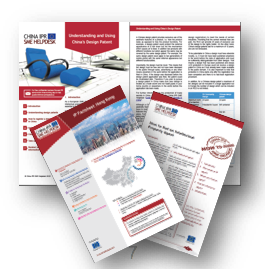 IP Factsheets for Mainland China, Hong Kong, Macao and Taiwan. IP topic, including patents, trade marks, copyrights, licensing, dealing with counterfeiting. Business focus, including IP as a business asset, technology transfer, finding the right lawyer. Industry, including textiles, medical devices, ceramics etc. 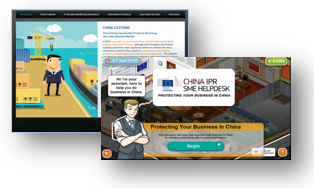 The multi-lingual online portal (www.china-iprhelpdesk.eu) provides easy access for all EU SMEs to Helpdesk information and services, including Helpdesk guides, E-learning modules, event information, live webinars, infographics, podcasts and the Serious Game. Follow us on social media, including Facebook, Twitter and LinkedIn to receive up-to-date information on Helpdesk activities, browse the Your IP Insider blog to receive the latest news and tips on IP or sign up for our bi-monthly Newsletter.